Sarees tend to give women a sensual and sophisticated look. Be sure to drape this brilliant not defined colored saree the next time you plan on attending a social gathering and make a stunning entrance. The fine Print work is a marvelous addition to its vibrant colour. This exquisite piece will make a great addition to your superb collection of sarees. 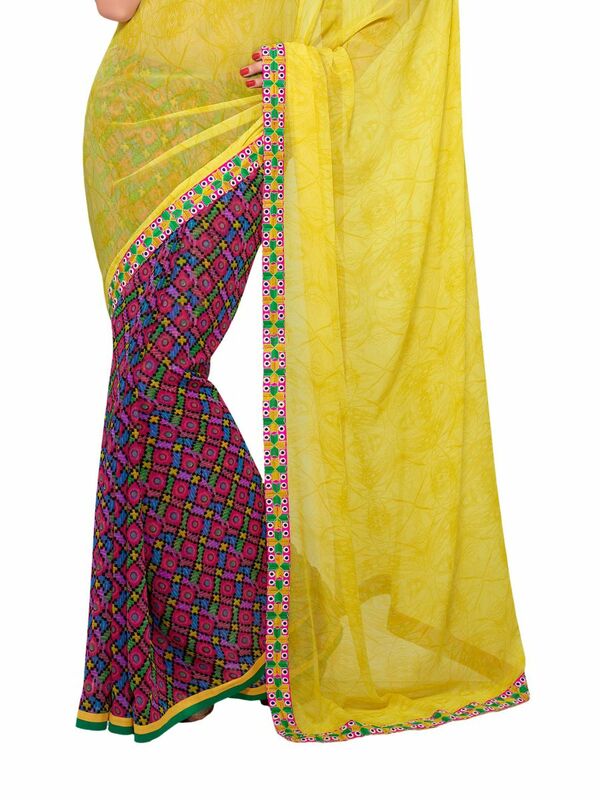 Buy Aaliya Yellow Colored Georgette Printed Saree online at cilory. This saree is a must have in every woman's wardrobe.